When only the best and chicest will do, look no further than our new beauty that just made your morning easier! Slide ‘em over your light or dark denim and distressed knitted sweater for an updated version of your 9-5 switch up! 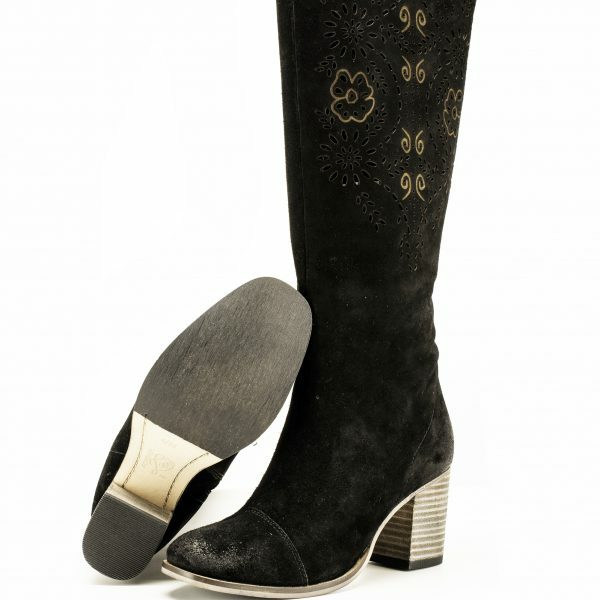 You’ll make a statement in knee high boots with laser cut details written all over it! 'FLM – AMAZIA' features a round toe, stacked heel, knee high construction, side zipper closure with memory foam padded insole for comfort. Material: Genuine Leather Upper, Leather and warm Textile Lining, Rubber Outsole. ‘FLM – AMAZIA’ features a round toe, stacked heel, knee high construction, side zipper closure with memory foam padded insole for comfort. Material: Genuine Leather Suede Upper, Leather and warm Textile Lining, Rubber Outsole. Studded Strap Mixed Material Leather Ankle Boot.